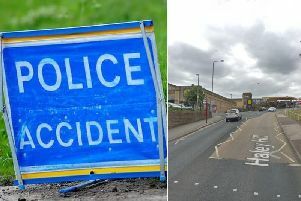 Two men have been charged with causing death by dangerous driving after a butcher was killed as he crossed a road in Todmorden. Wayne Stansfield was struck by two vehicles, thought to be travelling close to each other, as he walked across Halifax Road on March 15. At the time of the incident, police said he had been crossing the road, close to the Duke of York pub, when he was struck by two vehicles, a black Audi A3 and a silver coloured Toyota Yaris. Mohammed Azzizul Islam, 30, of Wellington Road, Todmorden and Fiaz Hussain Shah, 27, of Wellington Road, Bury, have been charged with causing Mr Stansfield’s death are due to appear at Calderdale Magistrates Court on October 1. Mr Stansfield, 48, worked for family-run firm J T Stansfield and Son in Halifax Road.